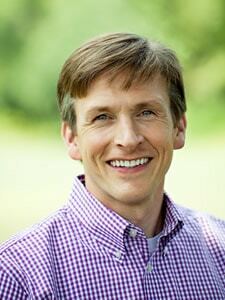 Dr. Durham has been interested in the practice of dentistry since a young age. He received his bachelor’s degree from Clemson University and achieved his dream of becoming a dentist when he earned his dental degree from the Medical University of South Carolina College of Dental Medicine.Upon graduating, he moved back to his home town in the upstate of South Carolina where he opened his first dental practice. After years of visiting beautiful Beaufort he decided to relocate and open a new state-of-the-art dental practice in the area, in order to provide the southern United States with the latest dental products, skills and technology available today. From his attention to detail to his insistence of providing the very best modern dentistry has to offer, Dr. Durham is committed to offering you a smile that is as healthy as it is beautiful. He travels nationwide dedicating hundreds of hours each year to learning the latest techniques and advancements in dentistry available. He authors many dental articles to help educate the importance of dental health. His postgraduate studies have included advanced training on dental implants, neuromuscular dentistry (TMJ/TMD), CEREC single visit restorations, Invisalign, sedation, and Millenium Dental’s Periolase Laser. Dr. Durham’s commitment of lifelong learning assures you the best that dentistry has to offer, both today and in the future. Dr. Durham is very active in the community and in the past has served on local zoning and historical preservation boards. He and his wife, Kim, have three wonderful children, Collin, Brock and Porter. In his time away from the office, Dr. Durham enjoys spending time with his family and time outdoors. To schedule an appointment with Dr. Stephen Durham, please contact his office at (843) 379-5400.